ICICI Pru has recently launched iProtect Smart comprehensive term insurance plan.iProtect Smart is all in one term insurance policy, which allows you to select different coverage levels. This plan offers 360-degree coverage to your life. Let’s take a closer look at iProtect Smart New Term Insurance policy. Who can Purchase iProtect Smart? ICICI Pru iProtect Smart offers flexibility in selecting death benefits and payouts. Lump sum – The entire benefit amount is payable as a lump sum to the nominee or legal heir. Income – 10% of the benefit amount is payable every year for 10 years to the nominee. The beneficiary can also advance the first year’s income as a lump sum. Increasing Income – The benefit amount is payable in monthly installments for 10 years starting with 10% of the benefit amount per annum in the first year. The income amount will increase by 10% per annum simple interest every year thereafter. There is no maturity or survival benefit available under this product. Mr. Anil is 35 years old. He wants to ensure that his wife and family live a comfortable life in his absence and get regular income. He decided to take term insurance plan iProtect Smart policy with a death benefit of 1.5 Cr. He pays an annual premium of 17,434 Rs for this policy. On the unfortunate death of Mr. Ramesh during policy term, his family will get either lump sum amount or monthly income up to 10 years. Ms. Priya is 32 years old. Priya wants to get ready for any eventualities of life. She takes the iProtect Smart policy with coverage of 1 Cr. Along with critical illness benefit of 25 lakhs, after paying a premium for few years, she is diagnosed with critical illness. 25 lakh will be paid to her immediately. Her coverage amount will reduce to 75 Lakh, along with that premium amount will reduce in similar proportion. A policy shall continue and offers coverage up to 75 lakh up to policy term. Should you invest in ICICI iProtect Smart? 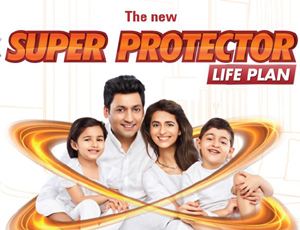 ICICI iProtect Smart offers flexibility in terms of benefits selection. You can opt for various benefits options such as lump sum, income, increasing income as per your requirement. This plan covers 34 different critical illnesses. Please go through detail about critical diseases covered under this policy. This insurance plan also covers female organ cancers such as breast cancer and cervical cancer. ICICI Pru iProtect Smart offers the flexibility to increase the level of protection at key life stages of marriage and child birth, without any medicals. Special Premium rates are applicable for non-tobacco and women. Do you think ICICI iProtect Smart is good term insurance plan? Do share your views in comment section given below. « Real Estate Regulatory Bill New amendments – Good Days for real estate?